With the falling costs of music recording, more and more aspiring musicians and recording artists have begun to self-produce their music, especially demo CDs. Most musicians and recording artists often wonder about the options available to them for CD duplication. 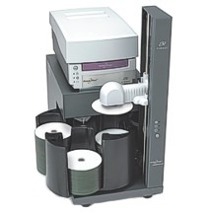 For those who do not have an MPCS music licence and for smaller runs, CD duplication is the best available option. With a thermal print process or a simple inkjet, the recording artist has several options that fit right into their budget. During the process of music CD duplication, it is always best to use only the highest quality CDs to ensure great compatibility. Another significant aspect of music CD duplication is the packaging. It is often important to have packaging that is creative, visually appealing and which stands out. The typical CD packaging for any music CD project includes a black jewel case with a rear inlay and a front insert. Certain CD duplication projects like promotional projects or demos can benefit from having a more lightweight packaging form, such as simple polywallets or card wallets that allow the on-body print of the CD to be seen. The benefits of CD duplication are not only limited to promotional projects and items but also for new recording artists and bands. With CD duplication, they can have their product ready within a short period of time for any gigs or events that come unexpectedly. This entry was posted on Monday, April 6th, 2009 at 5:24 pm	and is filed under CD Duplication Articles.